April is Chicago Dance Month. “See Chicago Dance,” alone, presents sixty or so events, citywide, at various locations and times. My good friend Doris Timmen, a remarkable dance enthusiast, has invited me to see the Chicago premiere of Alexei Ratmansky’s “Whipped Cream,” performed by American Ballet Theatre at the Auditorium Theatre, April 11-14. I’ve always had a fondness for whipped cream, ever since my German grandmother fed me whipped cream when I was a toddler because she thought I was too thin. I’ve also had a longing to return to England, but it’s not possible in the next two or three months, so the next best thing is the Joffrey Ballet’s “Across the Pond” at the Auditorium Theatre, April 24-May 5, which will feature works by U.K.-based choreographers. Fosse/Verdon premieres April 9 on FX. Photo by FX Networks. The eight-part FX series “Fosse/Verdon” starts April 9 and stars Sam Rockwell as the Chicago-native, choreographer/director Bob Fosse, and Michelle Williams as dancer Gwen Verdon. Fosse and Verdon were definitely a dynamic duo…both creative and romantic partners. Another famous duo, but for different reasons, were Alexander Hamilton and Aaron Burr. The focus is on Hamilton at “Hamilton: The Exhibition,” which premieres in Chicago at Northerly Island, April 27 through September 8. I am interested to learn more about Hamilton after seeing the musical twice. Chicago a cappella’s “Dynamic Duos – The Greatest Musical Partnerships” is at Wentz Concert Hall, Naperville (April 5); Pilgrim Congregational Church, Oak Park (April 7); Nichols Concert Hall, Evanston (April 13); and Lincoln Hall, Chicago (April 14). Featured duos are Mozart and Da Ponte, Gilbert and Sullivan, George and Ira Gershwin, Simon and Garfunkel, the Captain and Tennille (I heard them at Arie Crown Theater in their heyday), Stan Getz and Astrud Gilberto. I heard Astrud Gilberto at Rick’s Café Americain in Chicago many years ago. Although the audience begged her to sing her signature song “The Girl from Ipanema,” she refused. Besides dance and duos, fashion is a re-occurring theme this month. For a look at how Hollywood and mainstream American fashion merged, check out the “Silver Screen to Mainstream: American Fashion in the 1930s and ‘40s,” which opens April 8 at the Chicago History Museum. Saint Sebastian Players perform “Love, Loss and What I Wore” at St. Bonaventure, April 26-May 19. The Saint Sebastian Players will perform Nora Ephron and Delia Ephron’s “Love, Loss and What I Wore” at St. Bonaventure on Diversey, April 26-May 19. The group has been around since 1982 and was started at the now long-gone Saint Sebastian Church on Wellington just west of Halsted, just a few blocks from where I grew up. But I’ve never seen this troupe perform. I heard the play years ago when it was performed by a local play reading group. I have two younger sisters, so I can still hear my mother’s voice “You’re going to wear that?,” or more emphatically, “You’re NOT going to wear that!” She had reason to be watchful. I remember an incident during a mock presidential election at our grammar school in 1968, when one of my sisters came home with two Democrat pins, one strategically placed on each side of her jumper. I don’t know if my mother’s jaw dropped because the pins were ill-placed, or because they were for the other party (my parents were staunch Republicans at that time). Artist, fashion designer and artistic director for Louis Vuitton’s menswear collection Virgil Abloh was born and raised in Rockford. “Figures of Speech” is his upcoming exhibition at the Museum of Contemporary Art (MCA) (opening June 10), but this month I hope to hear Michael Darling the MCA curator who organized the show, speak at a private club. A Tale of Today Yinka Shonibare CBE runs through September 29 at the Driehaus Museum. Photo by Driehaus Museum. The Richard H. Driehaus Museum’s first of three forays into contemporary art, “A Tale of Today: New Artists at the Driehaus,” opens with “Yinka Shonibare CBE,” through September 29. Shonibare’s contemporary photography and sculptures… headless mannequins swathed in colorful, patterned fabric — should be an interesting juxtaposition with the Driehaus Museum’s opulent Gilded Age décor. The 2019 Driehaus Awards for Fashion Excellence takes places at the Chicago Vintage Motor Carriage in Chicago on April 26. Photo by Driehaus Design. The 2019 Driehaus Awards for Fashion Excellence showcases the talents of fashion students from Columbia College Chicago, the Illinois Institute of Art-Chicago, Dominican University, and the School of the Art Institute of Chicago. April 26 at Chicago Vintage Motor Carriage in Chicago. And speaking of young talent, the Paramount Theatre Aurora’s first world premiere musical, “August Rush: The Musical” based on the Oscar-nominated film about a musical prodigy runs April 24-June 2. Chicago has been a beta site for Broadway. I’m glad that Aurora is too. The school bribery scandal has been in the news recently. Josh Harmon’s timely “Admissions” continues at Theater Wit through May 12. The exhibition “Birmingham, Alabama, 1963: Dawoud Bey/Black Star” runs at the the Museum of Contemporary Photography at Columbia College, April 11-July 7. Photo by MoCP. A trip to Birmingham and Montgomery Alabama this spring didn’t materialize. But it seems that Birmingham is coming to Chicago: “Birmingham, Alabama, 1963: Dawoud Bey/Black Star” and “Chicago Stories: Recent Works by Carlos Javier Ortiz and David Schalliol” are two inter-related exhibitions running concurrently at the Museum of Contemporary Photography at Columbia College, April 11-July 7. Christopher Paul Curtis’ “The Watsons go to Birmingham – 1963” is at Chicago Children’s Theatre through April 28. Sorry to hear that ShawChicago Theater Company is calling it quits after 25 years. Its last production will be the first play the company presented in 1994, George Bernard Shaw’s “The Doctor’s Dilemma,” through April 15 at the Ruth Page Arts Center. This year might be the swan song for the Encounters with Asia lecture series at the Art Institute of Chicago. The theme for this year’s Encounters, sponsored by the Asian Art Council of the Art Institute of Chicago, is “The Art of Place: Contemporary Asian Art Destinations.” The first event in the four-part series is a “A Conversation with Cai Guo-Qiang,” the Chinese superstar artist who is famous for his gunpowder paintings. Philanthropist Melinda Gates is just one of the speakers at Chicago Humanities Festival’s Springfest, April 25-May 4, at venues across Chicago. Other speakers during the 30th anniversary of the festival include newspaper columnist David Brooks, Chicago author and professor Alex Kotlowitz. Judy Chicago will speak at the Museum of Contemporary Art Chicago Women’s Board Visionary luncheon at the Standard Club on April 30. Photo by MCA. 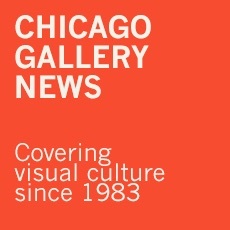 Chicago-born feminist artist and educator Judy Chicago will speak at the Museum of Contemporary Art Chicago Women’s Board Visionary luncheon at the Standard Club on April 30. She is probably best known for “The Dinner Party,” which I saw not long after it was completed about 40 years ago. But I didn’t know until last year that she picked up her moniker after she moved out West and the folks there called her Judy Chicago because of her strong Chicago accent. Chicago is featured in several episodes of the WTTW digital series “Urban Nature,” which explores wildlife in America’s largest cities… a great way to enjoy the outdoors from the comfort of the indoors. You can also experience the outdoors when indoors at either “A Life in the Wild,” which features the award-winning works of nature photographer Thomas Mangelsen, at the Peggy Notebaert Nature Museum in Lincoln Park through June 2, or the Natural History Museum of London’s “Wildlife Photographer of the Year” exhibition at the Field Museum. The Newberry Consort’s “Le Jardin de Mélodies” takes place across Chicago, April 5-7. Photo by Newberry Consort. For something tamer, there’s an indoor garden, of sorts. The Newberry Consort’s “Le Jardin de Mélodies” is billed as “a Parisian Renaissance Entertainment!,” at The Newberry Library (April 5), Logan Center for the Arts (April 6) and Galvin Recital Hall at Northwestern University (April 7). Dates, times, location, and availability are subject to change. This entry was posted in About the Town on March 31, 2019 by Kay Whitfield.